bKash has been awarded as one of the Premier/Standard Pavilions by Dr. Hasan Mahmud, State Minister for Forest and Environment, on the last day (March 20, 2012) of the Chittagong International Trade Fair 2012 held at the Polo Ground of the port city. The 20th CITF 2012 was organized by the Chittagong Chamber of Commerce and Industry (CCCI) and was inaugurated by Commerce Minister, GM Quader on Friday, February 24, 2012. 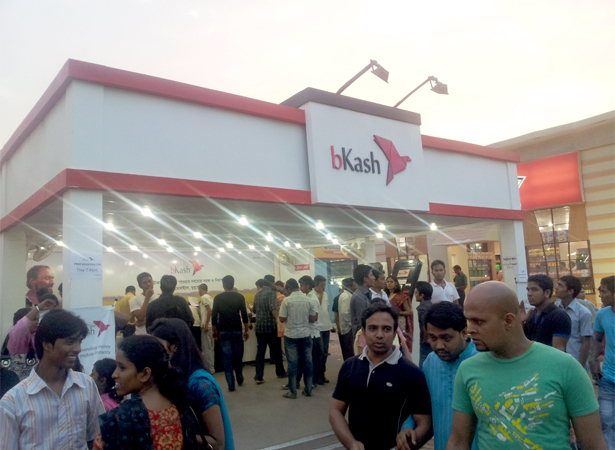 Along with 350 other exhibitors, bKash had set up a pavilion at the fair where visitors were able to register for free and open bKash accounts with their Grameenphone and Robi numbers. They also learnt more about the mobile financial services which they may access from their mobile phones using bKash.